Paying for stock photos is the safest way to go. But is it the right investment for your website or blog? It all comes down to this. We search for a website or click on a blog post because we want to read it. But as readers, we always expect more than words from that experience. We expect that website or blog post to BE an experience. We want to identify with the blogger or brand. We want to feel at home and at ease while we scroll through the page. And we want to make this decision as quickly as possible. That’s where images come in. Nowadays, it’s hard to find a website without at least one image on its pages, if not a portfolio of photos and icons. Sure, we stop by for the words. But what we expect is to be visually comforted. Or we bounce—and bounce fast. Do We Judge a Website By Its Cover? Of course we do. But it’s not because we’re shallow. With countless URLs across the Interwebs, hundreds of websites come up when you do a simple Internet search (notice that I don’t say “Google” it). So you filter your options as best as you can with a quick scroll of the webpage and decide if you should stay or if you should go. And sometimes, we make that decision without reading a single word. That’s because images can tell the story before the words do. We can see how updated a website is based on its images. We can see how well-versed the brand or blogger is on the subject at hand based on the images they choose (or don’t choose). We can see how invested the brand or blogger is in the topic by the up-to-datedness of the website experience. So to keep a reader, we must first entice them with images. But at what cost? We have a choice as web publishers when it comes to images: Stock photos, free stock photos or your own photos and illustrations. Or, perhaps, a mixture of both. Many brands pay a subscription to have access to hundreds of stock photos that they can use legally. Subscribers can download professionally-shot portraits and landscapes with just a mouse click. While that seems like the best option, is it? It’s a worthy investment to subscribe to a stock photo collection simply because it’s the legal way to use professional photos on your website. But not all collections are that…great. I’m sure you’ve seen them. 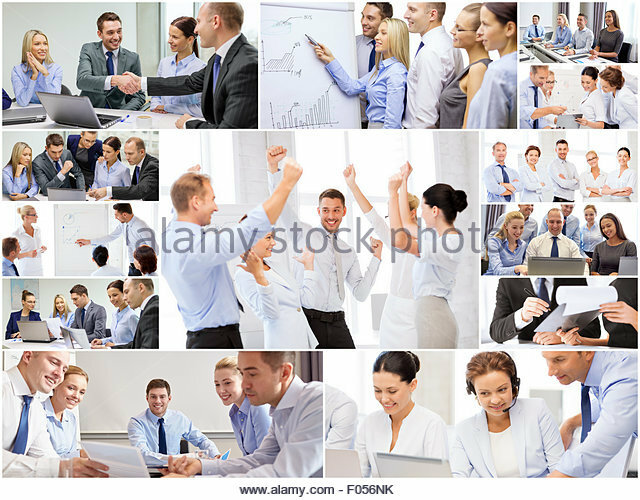 Images of families over-smiling, co-workers pretending to have a meeting and business people climbing up figurative ladders. This has to be my all-time favorite example of business stock photos getting out of hand. Over-staged photos just look fake. And no one’s going to believe what you say when you use a cheesy stock image. Unless you use it ironically or to emphasize the ridiculousness of a concept. There’s a great quantity where the quality of the photo subjects lacks in authenticity. And that reflects poorly on your brand or your blog post before the reader even skims the first line of the page. Stock Images: Yes, you pay for a subscription. But do your homework before you lay down the cash. Read reviews and see if the company offers a collection preview before you purchase. You’ll want to invest in a company that has quality images that you haven’t seen anywhere else on the web—well, at least within your own industry. Free Stock Images: There are several sites that offer stock images that you can use legally and for free. For example, I like to use this one for my blog image headers. But free still comes at a price. Since these photos are free, more brands and bloggers pull images from their libraries. In other words, an image found from those collections will most likely be also found on dozens of other websites. Original Photos and Illustrations: This is probably the best investment option for your brand. It’s something that even I’m trying to make happen more and more on my blog. It definitely takes more time to pay a photographer to capture quality photos, snap those images yourself, or pick up a pen and sketch something out. But when you use your own images or illustrations, your brand stands out. Your images tell your own story, thus emphasizing the authenticity of your brand. Whatever your decision, make sure it’s the best decision for your brand, your audience and your goals. Now it’s your turn to share! Have you run into this stock photo conundrum? Share your thoughts below.